All about Fiat Punto Evo ✓ Specification ✓ Exterior ✓ Interior ✓ Mileage ✓ Color ✓ Features ✓ Price ✓ Comparison. The premium hatchback segment in India has grown over the years. The sales are ever increasing and people aren’t shying away from buying a Rs 10 lakh hatchback while there are sedans galore at this price. The Fiat Punto is a premium hatchback that was launched in 2009. The car had everything that would appeal to an enthusiatic buyer – Styling by design ace Giagiaro, a good ride and handling package and the Multijet Diesel engine. The Italian car maker has been immensely successful in the country and has been around for quite some time now. However, the Punto has not been able to come up to the expectations of the brand till now. The hatchback also needed a significant change in its appearance. 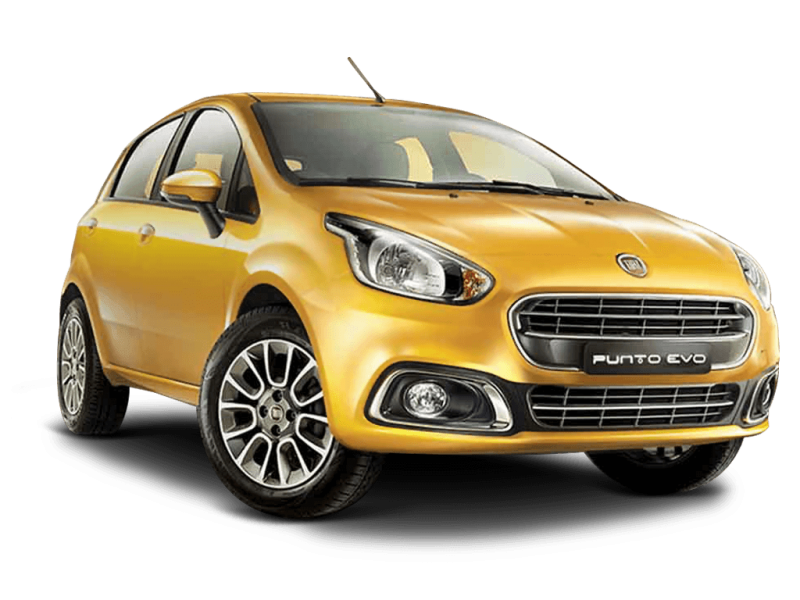 So, the company decided to roll out a new variant under the name of Punto Evo. Which car would you like to buy ? Fiat Punto powered by a 1.2-litre petrol and a 1.3-litre diesel engine, both of which have been carry forwarded. Fiat is also looking forward to launch a 1.4-litre option for the petrol model. The new engine will be capable of producing 88 bhp and a total torque of 115 Nm. Five-speed manual gearbox has been provided to all the versions. The transmission is prompt in the petrol models; however, it is slightly problematic in the diesel one. Fiat has designed the car with the help of the best engineers, who have imparted a completely renewed look on the Punto Evo. The head lights, bonnet and front bumper have been redesigned to give a more masculine look. The bonnet now comes with a bulge with two distinct lines running down all the way to the logo.The Punto Evo gets styling inspired from the Avventura concept that was shown at the 2014 Auto Expo. It definitely looks exceptionally good. The head lights have been given a swept-back finish and come with a larger design, courtesy the sides. The chrome inserts at tactical places on the front and the fog lamps have imparted a premium touch to the hatchback. The rear styling of the Punto Evo is the best in business at the back. The rear Punto was very attractive and the new car adds more sparkle to it. The tail of the Punto is same as the old car. The bumbers are new and accomodate the rear fog lamps and reverse lights at the bottom on both sides. The hatchback has been given a completely new look, as far as the dashboard is concerned. It resembles the Linea model somewhat and is a welcome change. The dashboard has a circular approach that imparts a wholesome appeal to the car. Dual-tone interiors make for a perfect finish in all the Evo models sans the Evo 90. The central console has a piano-black touch and finish and looks premium. Several features including the standard ones make up the front panel, which is perfectly placed following the ergonomics of the vehicle.